Welcome to Sunday Spotlight. 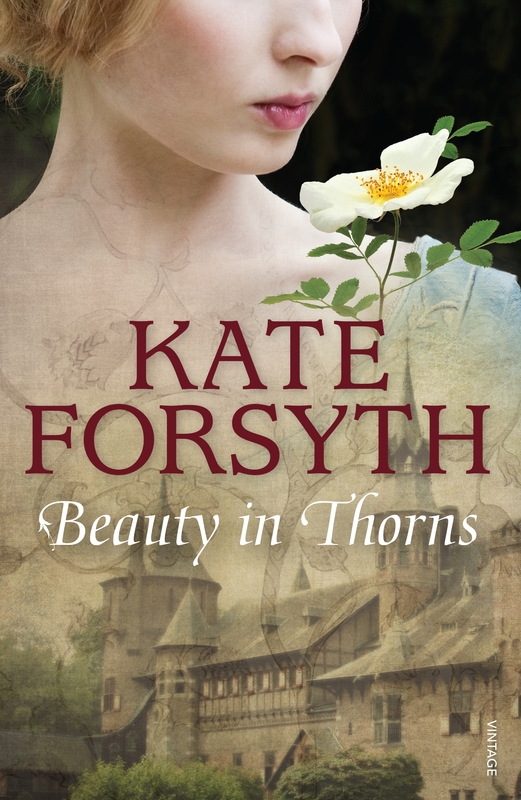 Today we feature Kate Forsyth, whose latest novel, Beauty in Thorns, releases tomorrow. I wrote seven or eight novels before I was sixteen, some co-authored with my sister or my best friend. They will never be published, with good reason. Not counting those, by the end of this year I will have written and published forty books, including a collection of poetry, picture books, a novella, my doctoral exegesis, a collection of essays, a short story collection and novels of all shapes and sizes. This year is my 20th anniversary of first being published and I pulled out all the stops so I could say I’d published 40 books in 20 years. It depends on the length of the book, and on what challenges are thrown up by each story. I wrote one of my picture books in five minutes while I waited for my daughter to finish her ballet class. Another of my books – now published as Dancing on Knives – took thirty years of writing, re-writing, discarding it, resurrecting it, re-writing it again. That said, on average I write one big project every year to 18 months. It might be a long, complex and research-intensive historical novel for adults, such as Bitter Greens or The Wild Girl – or it might be a multi-book children’s historical fantasy series like The Impossible Quest (5 books) or The Chain of Charms (6 books). In general, I finish one big exhausting project and then spend a few weeks or so playing with small projects such as poems, essays, stories, picture books or early readers – before I begin the next big hard challenging one. Sometimes the little things I play with get published; sometimes they don’t. They are things I do for rest and refreshment and fun. I call them ‘palate cleansers’. I remember when my first novel was published (a heroic fantasy series for young adults), I was told by a bookseller I should have concealed my gender behind initials, i.e. K. E. J. Forsyth. This was because there was a perception in the marketplace that fantasy was a genre for male readers and they would never buy my book because it was clearly written by a woman. I think Joanne Rowling must have been given the same advice! My books certainly have not sold as well as the Harry Potter books but sadly I don’t think that’s because I chose not to conceal my real identity. I have always had lots of male readers, though, who send me lovely fan mail (I got one just this week from a US soldier who read my fantasy books while on tour in Afghanistan. He thanked me for giving him a little bit of light in a time of darkness, which I think is the best compliment ever). And I’ve written from a male perspective numerous times. I think being an Australian can have an impact on any local writer trying to make it on the international scene, simply because it can be expensive to fly an author over from Australia for festivals and other events. And, of course, there are always rights issues. A British author will sell ANZ rights to their British publishers, which gives them the opportunity to earn income from books sold here. 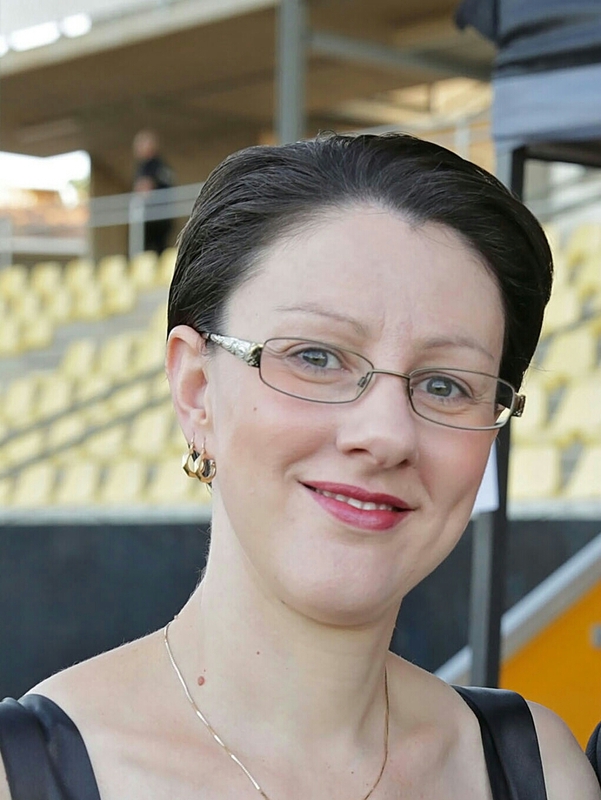 An Australian author usually sells ANZ rights to an Australian publisher, however, which means the UK publisher misses out. This can be a deal-breaker. I love books set in the past. It doesn’t really matter what genre of fiction it is – mystery, fantasy, romance, realism – if it is set somewhere long, long ago and far, far away, I’m going to love it. Authors whose work I really enjoy include Geraldine Brooks, Phillipa Gregory, Kimberley Freeman, Susan Vreeland, Karen Maitland, C J Sansom, Tracy Chevalier, Joanne Harris, and Juliet Marillier. 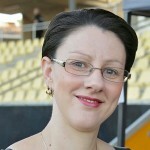 I read all different types of books, though – from children’s fantasy to Nordic crime to poetry . My favourite books when I was a child were The Lion, the Witch & the Wardrobe by C. S. Lewis and The Dark is Rising by Susan Cooper. I also loved the historical novels of Rosemary Sutcliff, Geoffrey Trease, and Leon Garfield. Did reading as a child have any bearing on your decision to become a writer? Oh yes, I think so. I was an absolute bookworm as a child and was only happy if I was reading, writing, or playing imaginary games inspired by the books I loved. I did a Doctorate of Creative Arts a few years ago. For my creative component, I wrote Bitter Greens, a historical novel for adults which entwined a retelling of Rapunzel with the true-life story of the woman who wrote the tale, the 17th century French noblewoman Charlotte-Rose de la Force. For my theoretical component, I wrote The Rebirth of Rapunzel: A Mythic Biography of the Maiden in the Tower. I looked at the various different retellings of the tale down to the Grimm Brothers, and then at the creative work by other artists that the fairy-tale then inspired. The first creative response to the Grimms’ version of ‘Rapunzel’ was a poem written by William Morris, who was a key figure in the later circle of Pre-Raphaelite artists, poets and designers. I have always loved Pre-Raphaelite art, and had already read a great deal about William Morris, Edward Burne-Jones and Dante Gabriel Rossetti. Writing the chapter on Morris in my doctoral exegesis reanimated my long-held interest in the Pre-Raphaelites. Their fascination with myth and fairy-tale and history chimed with my own. As I read more about their work with fairy-tales I discovered the story of Burne-Jones’s obsession with ‘Sleeping Beauty’. I saw at once what a fascinating novel it would make, though I must admit I did not realise at first just how challenging it would be to write! I do a great deal of research. I think it is absolutely crucial. I try and immerse myself as deeply into the time and place as I can, so that I can try and bring it to life for my readers. The research process also gives me much of my story. I spend months and months just reading, and tracking down books and articles, and taking notes, and building timelines. It can be a very slow process sometimes so I need to be patient and quite dogged in the task. Gradually the pieces all come together and start to make a cohesive whole. I do a great deal more research than I need to, but that’s the only way to find out what I don’t need! I try as far as possible to assemble all the known facts, and then I try and understand the psychological motivations that drove these historical personages to act in the way they did. I never change the known facts; they are the immoveable pegs around which I weave my story. However, there are always all kinds of gaps and omissions in the historical record that leave room for imaginative play. For example, it is known that Charlotte-Rose de la Force (my heroine in Bitter Greens) ‘came to the attention of the king’ during the infamous Affair of the Poisons in late 17th century France. This was a great scandal that rocked the court, with accusations of murder and Satanism that ended up implicating the king’s favourite mistress, among hundreds of others. There is no record of Mademoiselle de la Force coming to trial, but numerous trial transcripts were destroyed when it realised how many at the royal court were involved. Mme de la Force was the king’s second cousin and so it is quite possible that her records were expunged. So I was able to write a great sequence of scenes inspired by trial transcripts of other women of the time, including imprisonment in the Bastille, accusations of witchcraft by the Chambre Ardente (the French inquisition) and so on. How much planning do you do? Do you plan / plot the entire story from beginning to end, or let it evolve naturally as the writing progresses? I think planning is an absolutely crucial part of the writing process, and that many books that fail do so because the writer has not planned their story properly. I like to have a strong understanding of my characters’ lives and voices and motivations, and I like to know my beginning and my end, and my key turning points, before I write a single word. However, my plan grows and changes as the story evolves, and I always like to leave plenty of room for new ideas and new imaginative leaps. And you must realise that every book is different. What works in one book will not work in another. So the tools I use to help me build one story are not necessarily the best tools for writing something very different. I never start writing a book until I can hear the characters’ voices very clearly. Sometimes this is a very easy, natural and intuitive process, and other times I have to slog away at it for months. Once they begin to speak in their own voice, however, the writing is much easier. And its much easier to have a consistent voice throughout the whole book that way too. I read reviews sometimes – usually when my book has just come out and I’m hoping people will like it. It’s not a good idea for a writer to worry too much about reviews, though. There are people out there who seem to take pleasure in cutting authors down and posting astonishingly cruel and malicious comments. It can be very hurtful and demoralising, and I know authors who have found themselves paralysed and unable to write anymore because of what was said. And, of course, there will always be people who simply don’t connect with me or my work – and that is absolutely fine. They probably wouldn’t like the same books that I do either. I have been very hurt by some reviews. So much so that I cried for days and found it hard to get out of bed, or look anyone in the face. And I have also been thrilled and excited by other reviews, and floated around in a golden haze of joy for days. One thing I do is print out any really lovely emails I receive and paste them in my journal. Then, whenever I’m having a bad day and feel that nothing I write has any value whatsoever, I can read some of those emails and remind myself that many people love what I do – and it is those kindred spirits that I write for. I have struggled all my life with a profound stutter, along with various other speech impediments such as rhoticism and apraxia, after a catastrophic dog attack when I was two years old. I also have an artificial tear duct as a result of the same accident (and a horror of hospitals). Emily Bronte. Or Emily Dickinson. 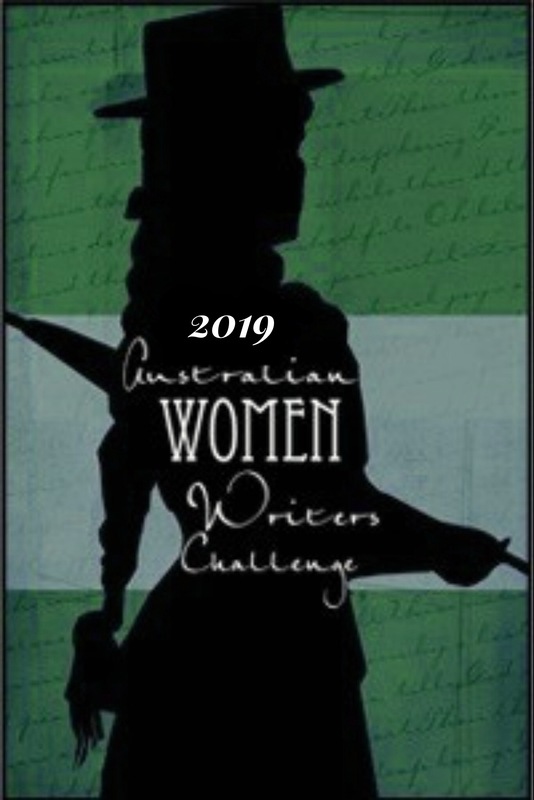 When did you discover the Australian Women Writer’s Challenge? 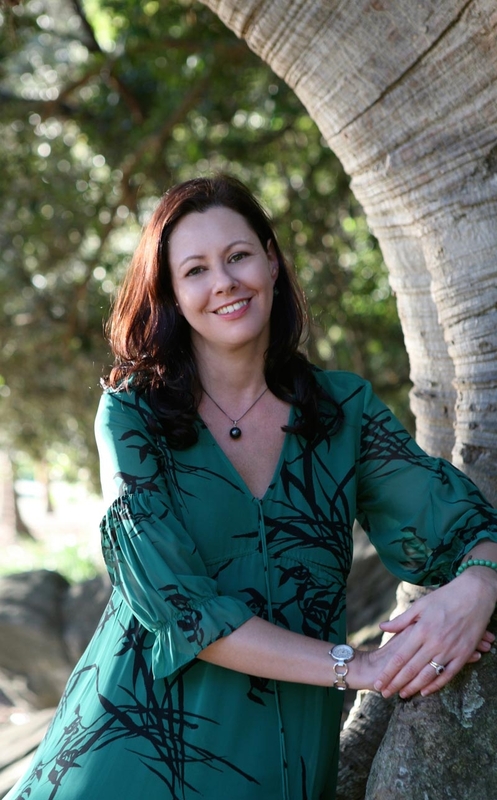 Do you think the challenge has had any impact on the awareness and discoverability of Australian Women writers? Have you personally benefited in terms of exposure of your work to new readers? I was on board with the AWW from the very beginning. 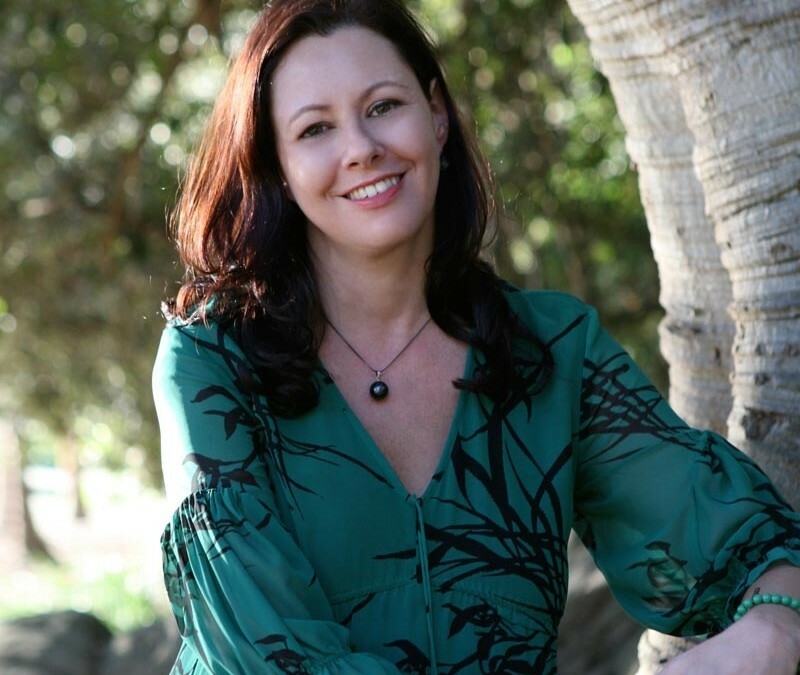 I think it has done an utterly brilliant job of raising awareness of the work of Australian women writers, and I know that I personally have made a big effort to read and review more of the work of my peers. I am sure that it has helped raise the awareness of my work with readers too, and for that I thank you. Beauty In Thorns is an historical novel for adults, which tells the dramatic story of love, desire, obsession and tragedy behind the famous paintings of ‘The Legend of Briar Rose’ by the Pre-Raphaelite artist Edward Burne-Jones. Burne-Jones was one of a collection of daring young artists who outraged Victorian society with their avant-garde paintings and scandalous behaviour. After Burne-Jones broke off their passionate affair, his mistress Maria Zambaco tried to drown herself. Dante Gabriel Rossetti famously buried his poems in his dead wife’s coffin and later had her exhumed to retrieve the worm-eaten manuscript. His lover Jane Burden was married to one of his best friends, William Morris, and they maintained a secret ménage a trois for years, before Rossetti – haunted by the ghost of his dead wife and addicted to chloral – surrendered to madness. Morris himself fell in love with Burne-Jones’s wife Georgie, and wrote some of his most lyrical poetry for her. Georgie had met Burne-Jones when she was only twelve, and shared with him her favourite fairy-tale of ‘The Sleeping Beauty in the Wood’. It came to possess his imagination, and he returned to the theme many times over the course of his life. In the 1880s, he embarked on a monumental quartet inspired by the tale, using his fifteen-year old daughter Margot as his model for the Sleeping Princess. He wished to keep her immobilised in that moment of innocence and purity forever, to save her from the pain of love and heartbreak. Margot was growing up, however. She must find the strength to break free of her father’s obsessive regard for her if she is to awaken to her own life of love and fulfilment. The four paintings of ‘The Legend of Briar Rose’ were greeted by the public with ‘enthusiasm amounting to ecstasy’ in 1890, and made Edward Burne-Jones a rich and famous man. It was not to be the last time he drew on the fairy-tale, however. There was one more scene he had to paint, before he laid down his paint-brush forever. Told in the voices of four true-life women – Lizzie Siddal, Jane Burden, Georgie Burne-Jones and her daughter Margot – Beauty in Thorns in a spellbinding reimagining of the Sleeping Beauty fairy-tale. 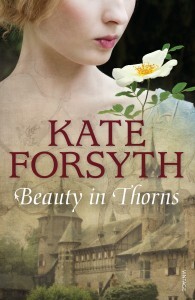 Find out more about Kate’s books and the details on purchasing Beauty in Thorns here. About Theresa: Writer, avid reader, keen reviewer, book collector, drinker of all tea blends originating from Earl Grey, and modern history enthusiast. I enjoy reading many genres but have a particular interest in historical fiction. You can find me and all of my book related news and reviews at TheresaSmithWrites, Facebook, Goodreads and Twitter @TessSmithWrites. I loved ‘Bitter Greens’ so I think I will enjoy this one too! You will! Bitter Greens was such a fabulous novel. Great interview! Beauty in Thorns was lovely!! I’m looking forward to seeing Kate at Kincumber library on Tuesday evening. Thank you! It should be good. Great interview – love Kate’s writing, this is definitely on my must be read list. It’s been a long wait since The Beast’s Garden but Beauty in Thorns is worth it. I loved it. My review will be published on Tuesday over on my blog. Keen to hear your thoughts on it when you do!